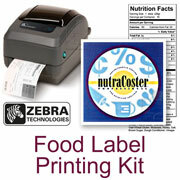 Welcome Food Label Printer Shoppers! FoodSoftware.com specializes in food label printers, related equipment, supplies and software for commercial food label printing. Our special emphasis is on equipment suitable for startup, small and medium-size food businesses. Products in our food label printer category are items which are often used and especially well-suited for food label printing by bakeries and commercial food manufacturers or similar industries. 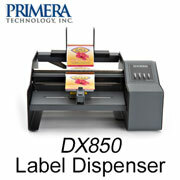 These items are also suitable for general purpose label printing for non-food items and shipping labels as well. Why print your own labels? Because in short runs, it's better, cheaper, faster and more flexible to print your own than using a commercial printer. This is especially true when you need limited quantities of labels for a wide variety of products that may only be made to order or only occasionally available. Because of setup charges and lead times, it does not pay to use a commercial printer unless you print tens of thousands of identical labels at a time. What makes food labels different? Food labels need to do a wide range of things and their combinations of materials ("substrates"), coatings and adhesives give them their characteristics. Some labels just need to be as cheap as possible and looks are not important. Others need to look as good as possible in all conditions at any cost. Some need to resist heat or freezing temperatures and be waterproof too. Some labels cannot be applied directly to plastic wrap that is also touching food because their adhesive ruins the wrap. See our label selection guides to choose the correct label for your purpose. Why use color or black-and-white? Color labels sell your product far better than black-and-white can. However, color labels may be five or more times more expensive than black and white, so color printing must be considered carefully. Sometimes it pays to own both types of printers- use color for front labels and black-and-white for the back so you end up with a lower total cost per square inch of label. 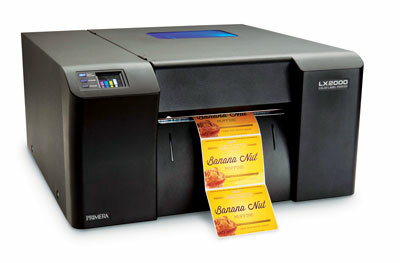 Digital Label Printers are specialized printers that connect to your PC or Mac for printing on rolls of labels instead of reams of office paper. Printing with rolls of labels is vastly easier, faster and more economical than using sheet labels in an office printer. 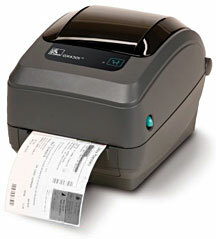 Monochrome (black-and-white or single color) label printers are for maximum speed and economy. Monochrome printers usually use heat to print labels either by direct thermal or thermal transfer methods. 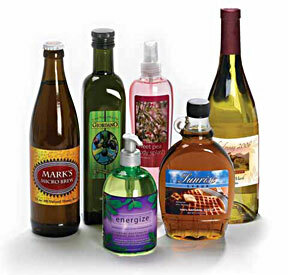 Full-color, high-resolution label printing are for maximum visual impact and sales effectiveness. Full-color label printers are inkjet printers. "Desktop" printers, in either monochrome or color, are smaller and more economical, but print narrower (up to 4"), slower and from smaller label rolls than the larger "tabletop" printers. "Tabletop" printers, in either monochrome or color, print wider (up to 8"), faster and from larger, more economical label rolls for longer print runs. 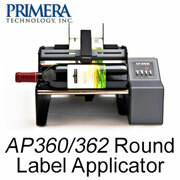 Label applicators automatically apply one or two labels to round packages (cans, bottles, etc.). Dispensers peel labels from rolls and conveniently present them so they can be easily and quickly applied manually to packaging not suitable for automatic applicators (irregular and soft packages). Labels come in rolls in a variety of pre-cut sizes, materials, coatings, shapes, adhesives and roll lengths. We provide label selection guides to help you choose appropriate label types because it is important to understand how the different labels are used- some types can stand moisture, cold, wear or heat while others cannot. Usually each printer brand uses its own brand of labels (i.e., Zebra labels for Zebra printers, Primera for Primera, etc.). Custom labels are also available with any combination of size and features. Ribbons are used by thermal transfer labels where durability and good looks are required. Ribbons are usually black but are also available in limited colors too. Ink Cartridges are required by the full-color inkjet printers. Label Printer Software: Label printers include their own free software so you can use the printer with your PC or Mac. Label software lets you compose labels (with text, pictures and bar codes), print runs of labels and save label files so they can be used again (like a word processor saves a document file). Label printer drivers set up your computer so any software that prints can use the label printer along with any other printers connected to your computer. UPC Bar Code creation and printing are label printer software features. Non-powered standard-duty slitters for up to four cuts at a time. Non-powered heavy-duty slitters for up to five cuts at at time. Powered slitters that work without separate winders. Standard-size, unpowered unwinders for most roll types and sizes. Large-size, powered unwinders for very large rolls. 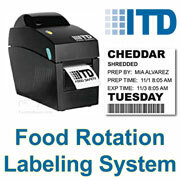 Click on the links below for detailed information about our key food label printing products. 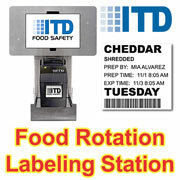 Makes food label printing easy and inexpensive. 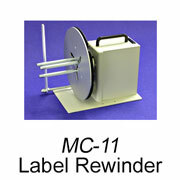 Includes our most popular label printer. 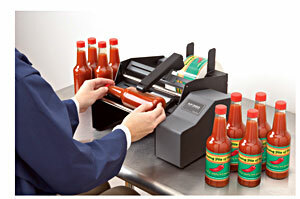 Our most popular label printer- inexpensive and fast with extremely economical labels. High resolution (300dpi) for fine printing needed for small packages (i.e., nutrition facts and ingredient labels for individually wrapped cookies). Uses both direct thermal and thermal transfer print methods. Our best value label printer- inexpensive and fast with extremely economical labels. Direct thermal print method only. 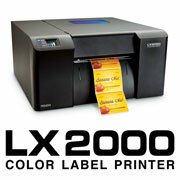 Our most popular full-color label printer, for relatively inexpensive, extremely fine label printing in glorious color. The newest, fastest, and lowest cost-per-label color label printer. Extremely high resolution (4800dpi) for fine photographic rendering. Our popular mid-level tabletop (large) full-color label printer for extremely fine label printing in glorious color. Very fast draft printing mode. Features individual-color ink cartridges that cut labels costs by as much as 30% compared to using multi-color cartridges. For use with most desktop printers except full-color tabletop printers. Models for applying one or two labels per container. Requires labels re-rolled after printing with the above label rewinder. Note: nutraCoster is special software for creating and composing the Nutrition Facts and Ingredient panels required for retail food packaging. It is NOT label printing software by itself and does not directly control food label printers. See the list below for all products in this item class and related classes too. Customers who purchase the above mentioned products also buy these products. 83 items found searching fields. The Labelmate UCAT-1 is an unpowered label underwinder for most label roll sizes and features adjustable speed-proportional braking. Label unwinders are needed to unroll labels for slitting (cutting lengthwise to make smaller labels). Once rolls are printed and rewound, they are mounted on an unwinder to be fed bac... more. Primera�s AP-Series Label Applicators are the perfect semi-automatic labeling solution for cylindrical containers at speeds up to 1,200 per hour. There are two models in the series: the AP360 applies one label per container and the AP362 applies two. 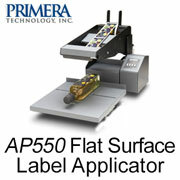 The applicators are perfect for Primera labels and other roll-fed, pressure-sensitive ... more. 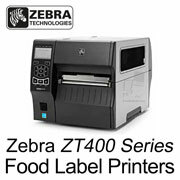 The Zebra ZT400 Series Printers are industrial duty label printers for printing fast and economical runs of labels up to 6 inches wide at the rate of several thousand per day. 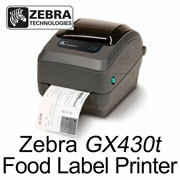 ZT400's are perfect for labeling food products with basic, black-and-white labels. Labels can include logos, basic graphics, text, bar codes and nutrition panels.... more.